Food allergies are becoming more and more common, with approximately 8% of children and 5% of adults suffering from at least one food allergy. It can be difficult for people to avoid their food allergen, and accidental exposure resulting in allergic reactions is common in people with food allergies. However, the U.S. Food Allergen Labeling and Consumer Protection Act of 2004 (FALCPA) required that food labeling includes the eight most common food allergens present in packaged foods, including egg, milk, soy, wheat, peanut, tree nut, fish, and shellfish. While this legislation is helpful for people to identify foods with hidden food allergens, another potential danger exists. Medicines with food proteins that could potentially trigger allergic reactions. 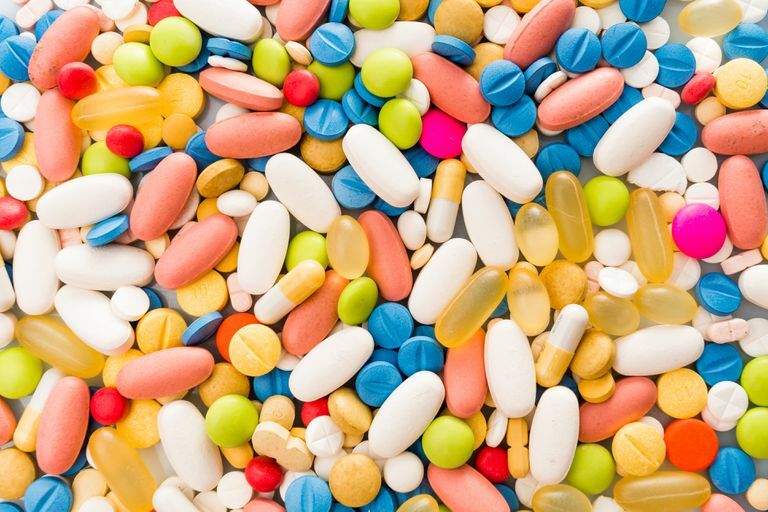 Pharmaceutical products contain excipients, which are inactive ingredients required for the manufacturing process and to help with the stability and function of medications. Many excipients are food products that could potentially cause allergic reactions in certain people with food allergies. As a result, many people with food allergies commonly avoid certain medications due to the fear of a hidden food allergen causing an allergic reaction. The following is a list of common food allergens and related medications containing relevant excipients. Some medications use egg lecithin as an excipient, which contains some egg protein. However, allergic reactions to egg lecithin are rare in people with egg allergy. Intravenous lipid emulsions contain egg and soy lecithin, and allergic reactions are more likely caused by the soy component rather than the egg protein. Propofol is an anesthetic used during surgery and is well known to cause allergic reactions. While propofol contains soy and egg protein, most people with egg allergy can safely receive the medication. Skin testing can be performed to propofol of people who have experienced an allergic reaction as a result of taking this medication. Protamine is obtained from salmon testes and used as an ingredient in some forms of insulin as well as a way to reverse the anticoagulant effects of heparin. While allergic reactions have been reported in people receiving protamine, people with fish allergy do not appear to be at a higher risk of reaction. People with a fish allergy can safely receive medications containing protamine. Fish oil is used to provide high levels of omega-3 fatty acids to help prevent heart disease. Because fish oil is refined, it does not contain fish protein and can be safely taken in people with fish allergy. Gelatin is obtained from the connective tissue of cows and pigs and contains proteins from these animals. Allergic reactions to gelatin are common, especially in injected medications and vaccines. Pills and capsules containing gelatin rarely cause allergic reactions in people with gelatin allergy. Suppositories contain gelatin capsules have been known to cause allergic reactions in people with gelatin allergy. Erythropoietin infusion containing gelatin can cause allergic reactions in people with gelatin allergy. Gelfoam sponges used to stop bleeding during surgery, contain gelatin and have been linked to allergic reactions in people with gelatin allergy. Gelatin present in various types of intravenous fluids is well known to cause allergic reactions in people with gelatin allergy, although these are not used in the United States. Most people with milk allergy do not have allergic reactions as a result of taking medications containing small amounts of milk protein. Therefore, in general, these medications can be safely taken in people with milk allergy. These medications include casein-based probiotics, lactose-containing asthma inhalers (such as Advair Diskus, Flovent Diskus, Pulmicort Flexhaler and Asmanex), and lactose found in methylprednisolone injections (a corticosteroid). Other forms of pharmaceutical grade lactose and related molecules are rarely contaminated with milk protein, although do have the potential to cause allergic reactions in people with a milk allergy when they are. Peanut oil is used in dimercaprol, progesterone capsules, and valproic capsules. Because pure peanut oil is refined, it does not contain peanut protein and would not cause allergic reactions in people with peanut allergy. Pine nuts are a product of pine trees, which are the source of rosin, also known as colophony. Rosin is used as a tooth varnish, although does not appear to cause allergic reactions in people with pine nut allergy. Rosin/colophony are known to cause contact dermatitis in certain people, but this reaction would not occur in people simply allergic to pine nuts. Many medications contain sesame oil, although medication-grade sesame oil doesn’t contain sesame protein, unlike food-grade sesame oil, which does. This means that medications that contain sesame oil, such as progesterone for injection, should be safe for people with sesame allergy. Glucosamine is obtained from the shells of shellfish, which has been reported in a small number of people to cause allergic reactions in people with shellfish allergy. However, a number of studies evaluating dozens of people with shellfish allergy showed that glucosamine was safe to take. Iodine, which is present in shellfish and intravenous dye (IV dye), has no relationship to allergic reactions caused by eating shellfish or receiving IV dye. Soy is found in many medications but it rarely causes allergic reactions in people with a soy allergy. Soy lecithin is found in some inhalers, mainly those kinds used to treat COPD, such as Combivent and Atrovent. There have been reports of people using these inhalers and experiencing worsening breathing symptoms, but it was never proven that those people were allergic to soy and that the soy lecithin in the inhaler was the problem. Soy oil is contained in intravenous lipid emulsions found in total parenteral nutrition (TPN), a source of nutrition used for critically ill patients who cannot eat. While allergic reactions have occurred with TPN, it has yet to be proven that this was as a result of soy allergy. Amphotericin C is an intravenous medication used to treat fungal infections in critically ill patients. Soy phosphatidylcholine makes up the fatty component of medication which allows it to enter and kill the fungus. Allergic reactions to amphotericin B have been described, although these have never been blamed on soy allergy. Kelso JM. Potential Food Allergens in Medications. J Allergy Clin Immunol. 2014;133:1509-18.